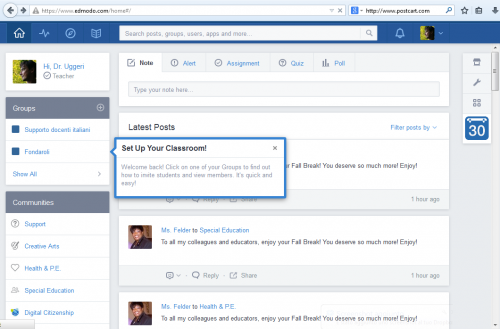 Description: Edmodo is an online social networking tool with an interface similar to Facebook. It enables teachers to load questions and tasks and for learners to interact safely. Learners can access content quickly and easily and interact with it intuitively. It is used for learners who are home and school-based. Very useful for children at home to access homework, teaching materials and quizzes set by teachers.